A six-year-old boy has been knocked down in Aberdeen city centre. A line-up of hit musicals, ballet and drama will be at the heart of His Majesty's Theatre's (HMT) new season. A gleeful Aberdeen audience entered the festive season slightly early last night as a stage version of popular Christmas movie Elf visited the city. Two soap stars will be taking to the stage in Aberdeen for next year's production of the Rain Man. When director Matthew Bourne presented his all-male version of Swan Lake in 1995, it certainly ruffled a few feathers. North-east landmarks are to be lit up in pink and blue in solidarity with women who have lost a child. Game of Thrones star Aiden Gillen will join a line-up of musicians in Aberdeen for a tribute to the music of David Bowie. Get your dancing shoes ready as the musical theatre spectacle that is Fame takes over His Majesty’s Theatre in Aberdeen for a few exciting days this month. This isn’t going to be an ordinary night out to the theatre. If you’re heading to see Jersey Boys during their time in Aberdeen then get ready for an evening of great music from a bygone era. It was a day of relief and celebration for the Robert Gordon’s University (RGU) graduates who gathered at His Majesty’s Theatre yesterday. The triumph of winning an election to be crowned student president was tragically marred for Edward Pollock when his dad died that same day. His Majesty’s Theatre echoed with applause yesterday as some of the north-east’s best young business minds graduated from university. Scottish post-rock band Mogwai will headline Aberdeen’s award-winning music festival True North later this year. Harry Potter star Mark Williams will take to the stage at His Majesty’s Theatre next year playing the titular character in Doctor Doolittle. A West End star who rose to fame on a TV singing contest has been announced as one of the stars of this year’s pantomime at His Majesty’s Theatre in Aberdeen. Russell Brand's 71-year-old mother was rushed to hospital after being badly injured in a hit-and-run car crash. 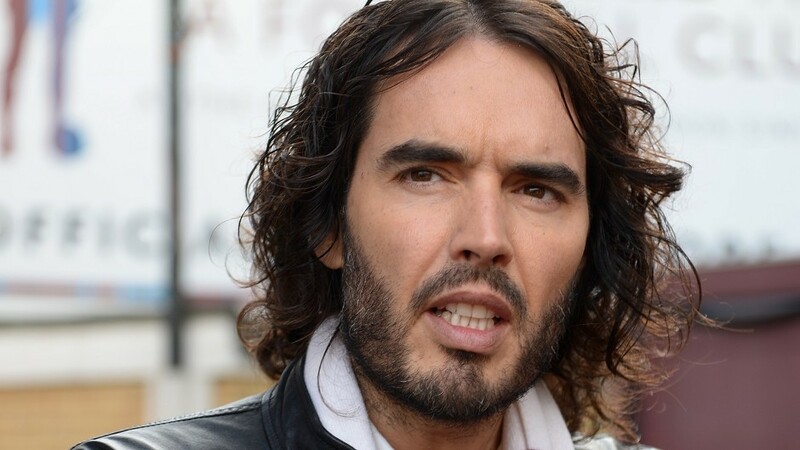 Comedian Russell Brand has postponed the Aberdeen leg of his Rebirth tour just two hours before starting. Travelling around the country with a chihuahua is something a little bit different for Bill Ward, who many will recognise from the likes of Coronation Street and Emmerdale. Shrek and Donkey are on another adventure and this time it's in Aberdeen. An Aberdeen dog has scooped up a starring role in Legally Blonde the Musical when the UK tour comes to the Granite City later this year. American music legend, and Aberdeen pantomime star, Jimmy Osmond has lamented the fact that people in his homeland simply "don't get" the appeal of panto. Long Haired Lover from Liverpool singer Jimmy Osmond will catch the eye of "Widow Twankey from Tillydrone" when he appears in an Aberdeen pantomime.